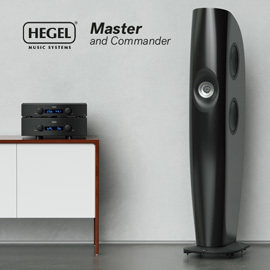 Three years ago, I wrote an open letter to audio manufacturers in which I cried out for an all-in-one loudspeaker: an audiophile-quality speaker with built-in amplification, built-in digital-to-analog conversion, and wireless connectivity, all for an attainable price. 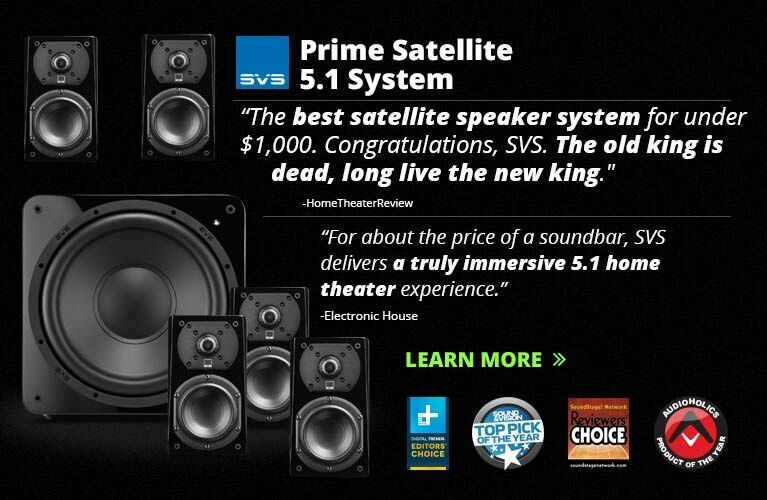 At the time, I envisioned an industry stalwart with expertise in the design of both speakers and amplifiers taking a stab at the challenge. I figured that an entry-level bookshelf speaker could be stuffed with a class-D amp, an inexpensive DAC, and armed with Apple’s AirPlay wireless standard. Indeed, that almost perfectly describes KEF’s X300AW ($999 USD/pair), the wireless version of KEF’s X300A, which I reviewed a while back. I called the X300A “the future of high-end audio” -- not because I thought it would be a raging success, but because I saw it as the first manifestation of my elusive, all-in-one hi-fi loudspeaker. Which brings me to what I think could be the most significant audio product since the Apple iPod: Devialet’s elegant new Phantom ($1990 each) and Silver Phantom ($2390 each) loudspeakers. Doug Schneider provided extensive coverage of Devialet’s foray into speaker design in mid-December on our sister site SoundStage! Global, so I won’t rehash the finer details here. The primary points are this: both speakers have a promised frequency response of 20Hz–20kHz with less than 0.5dB deviation across the audioband, wireless connectivity, and the same quality of Analog Digital Hybrid (ADH) amplification that’s used in Devialet’s 120 integrated amplifier-DAC ($6495), which left me dumbfounded. 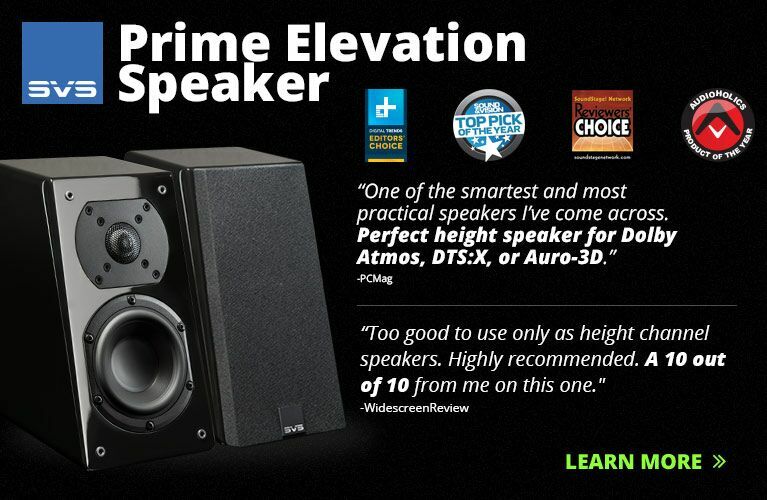 The only differences between the models are in their power outputs and the colors of their side-mounted bass drivers. The Phantom has 750W of amplification and is capable of 99dB of output, while the Silver Phantom houses a whopping 3000W of amplification and can output 105dB. The Phantom’s significance lies in its complete lack of resemblance to anything heretofore produced by the established high-end companies. In fact, I suspect many audiophiles will balk, labeling the Phantom a “lifestyle” product. That’s fine. If audiophiles end up buying Phantoms, it will merely be an incidental bonus for a far more forward-thinking corporate vision. The Phantom siblings will be sold by Devialet’s global network of dealers, but for the first six months of their retail lives in the UK, only famed department store Harrods will carry them. That’s clever. 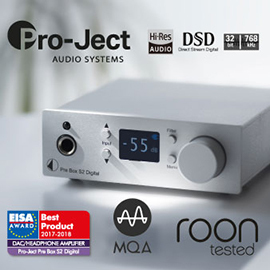 The persistent refrain from the high end over the past 10-15 years has been “How do we bring the next generation of audiophiles into the fold?” Selling a traditional, component-based hi-fi system in a place like Harrods might pique curiosity and spur a few sales, but a multi-box system costing upward of $10,000 will find few friends, even in such an atmosphere of luxury and frivolity. 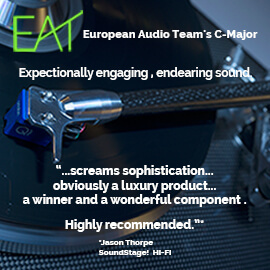 Devialet well understands that what’s required is a system that’s attractive, conveniently sized, high performance, and -- most important -- affordable. The real coup here is that Devialet has minimized their ADH circuitry to the required degree, and in a cost-effective manner. If the Phantoms retailed for twice their asking prices, there’s no question that Devialet would sell more than enough to make their launches worthwhile. 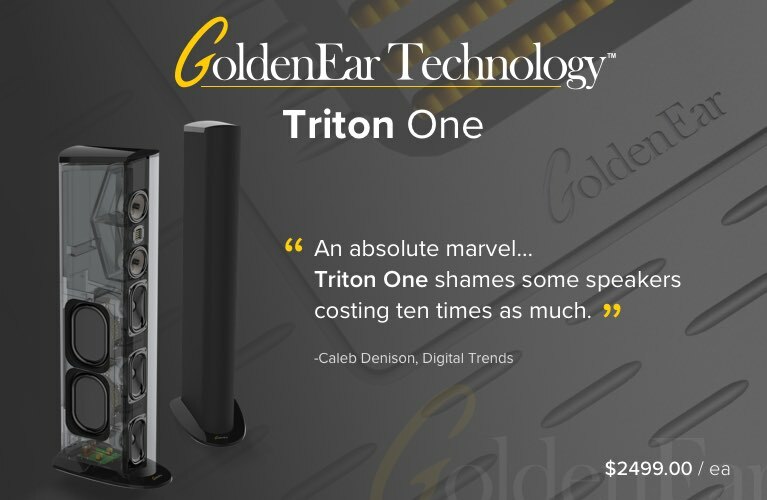 But a price of under $2000 is hugely aggressive for speakers whose specs promise enormous performance. In the UK and Europe, the Phantoms will offer the potential for not just better performance than the proliferation of Sonos systems and Bluetooth speakers that abound, but better performance than anything under $15,000, and possibly more. That’s the crux: better sound than the luxury consumer has ever heard before, at a not-out-of-reach price point. Here’s what then might happen: Audiophiles buy a fair number of Phantoms, as do some well-heeled upper-crusters. Economies of scale begin to kick in. As sales numbers rise, so do profit margins. Additional cash in Devialet’s hands inspires more investment in even more affordable Devialet speaker designs. Within a year or two, a Phantom Mini could be released, costing up to $1000 each. But while one might predict that Devialet’s upward trajectory would draw attention to the high-end in general and spur industry-wide growth, I suspect the opposite might occur. Steve Jobs once said, “A lot of times, people don’t know what they want until you show it to them.” Occasionally, a product is so damned innovative that some people can’t even tell what they’re looking at. Plenty of folks knocked the touchscreen smartphone. Even more were skeptical of the touchscreen tablet. 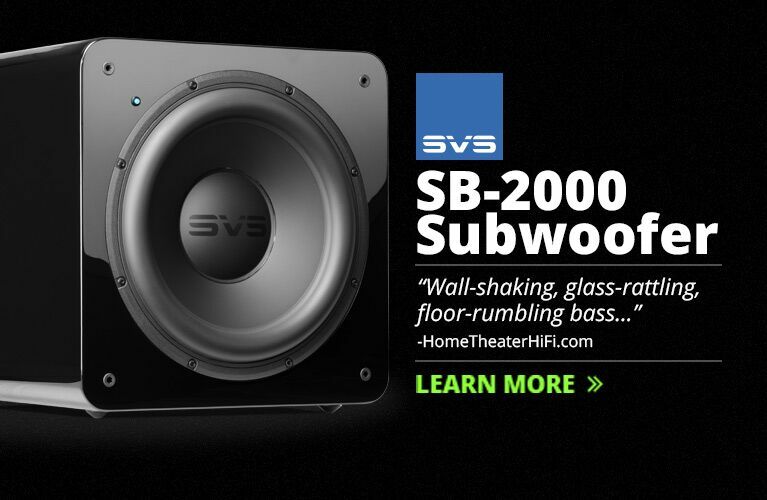 Audiophiles, too, are stubborn. 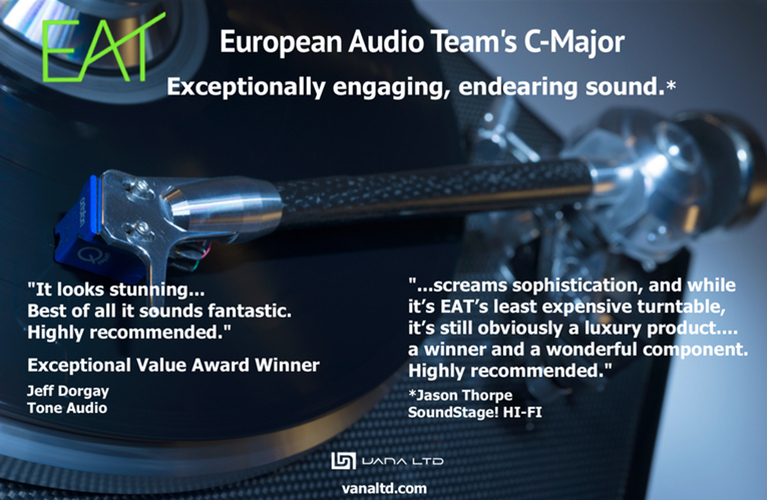 Many suffer under the impression that the best sound requires massive aluminum slabs of electronics. Devialet changed that with the D-Premier and their more recent offerings, such as the 120. But despite Devialet’s rampant success, there’s still a lot of cognitive dissonance to grapple with. Overturning longstanding and entrenched beliefs is wickedly difficult. Just ask SoundStage’s Editor-in-Chief, Jeff Fritz, who recently battled his own. With the Phantom, I think we’ll all be struggling to believe that a speaker roughly the size of a rugby ball could offer ballsy, full-range sound. 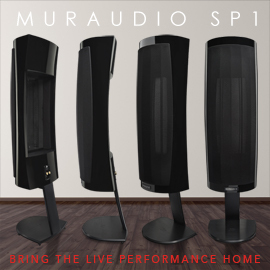 Since we’re used to state-of-the-art performance costing huge numbers of dollars, we’ll likely question whether these little guys are actually as resolving and transparent as models from competitors who have been designing and making speakers for decades longer than this French upstart. And even if we acknowledge these two points, the thought may cross our minds that we’re somehow being fleeced. Why? There is zero precedent for an audio product with this amount of ambition packed into it. For that reason, I can’t wait for a review sample to arrive in early 2015. I have yet to hear even a prototype of the Phantom. But given Devialet’s superb track record, and the huge time commitment that their 45 engineers put into this exciting little speaker, perhaps you can forgive my enthusiasm. If the Phantoms are anywhere near as accomplished as claimed, Devialet will have an absolute monster product on their hands, and we’ll all be better off for it.